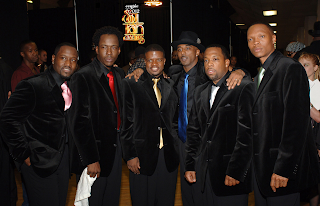 The road to 30 years continues when it was announced today one of the best groups of all time NewEdition will receive a Lifetime Achievement Award at this years SoulTrain Awards. On Behalf of the Staff here at Nexxlegacy Radio, the home of NewEditionRadio we salute Ralph Tresvant, Johnny Gill, Michael Bivens, Ronnie Devoe, Bobby Brown, Ricky Bell. The show is expected to air on November 25th at 9pm ET and hosted by Cedric the Entertainer.